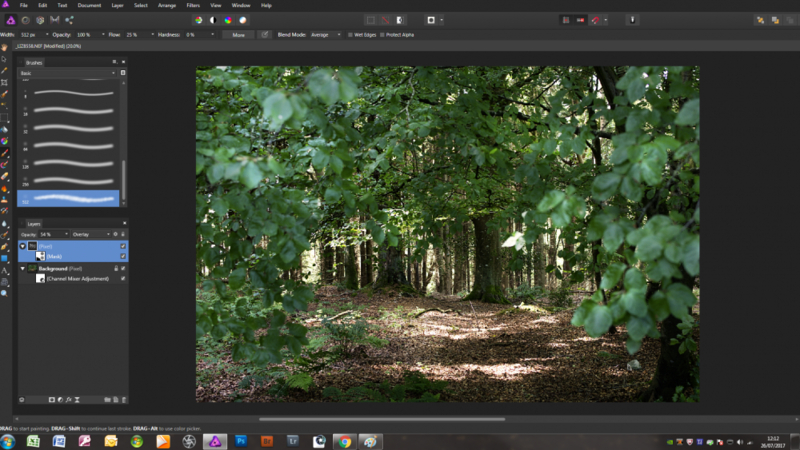 I have just bought Affinity Photo and Designer for windows, I am running Windows 10, 16gb RAM over 1tb hard drive. My affinity photo is extremely slow and constantly "not responding" and freezing every time I do something. Even when trying to just transform or crop an object. I have tried everything in preferences, even upping the amount of RAM usage allowed. This is very frustrating and adding hours onto simple tasks. Is this a bug of the latest update or how the program is? Do you find this with every image or is it a certain one you're working on? If you are using Live Filters they can cause the program to slow down a significant amount. Unfortunately, I have got the same problem with this bug! I hope someone is going to take care of it soon!!! It works very slowly!!! Hi, what were you doing at the time you noticed the application going slow? I don't know if this will help anyone, but I've discovered the cause of AP grinding to a halt on my computer. My default brush choice WAS Basic>Round Light Brush>512 px from which I'd then adjust size etc., as required. However, having also used this brush and adjusted its properties in recording a macro to simulate soft, speckled sunlight, I didn't think any more about it, but became increasingly miffed at the constant crashing, freezing or dreadful lagging (at best) when using the paintbrush tool. I had reset the brush properties on finishing recording the macro. For some reason, I changed the brush selection to Round Light Brush>256 px and everything is now working fine. Despite resetting the brush properties, the Brush example illustration in the properties dialogue box still shows my adjusted brush, which you may see in the attached screen shot. I haven't explored all the brushes to see if the problem replicates, but have found that the DAUB set does cause a lag. I'm wary of deleting the offending brush in case I delete the whole Round Light Brush set. I'm wary of deleting the offending brush in case I delete the whole Round Light Brush set. If you right-click on a brush and choose 'Delete Brush', you will only delete the selected brush. In order to delete the entire set, you would need to click on the Brush panel menu hamburger and choose 'Delete Category'.